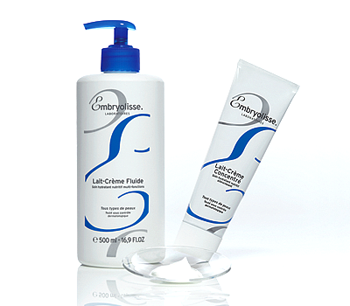 The story of Embryolisse begins in 1950 with a dermatologist at a hospital in Paris, who created the legendary Embryolisse Lait-Crème Concentré. Guided by a philosophy of providing the skin with its essential requirements, Laboratoires Embryolisse use active ingredients of plant origin that go through a rigorous selection process, combined with cutting-edge dermatological active ingredients. Passed on from mothers to daughters, recommended by dermatologists, and beloved by make-up artists, Embryolisse has been adopted by devotees the world over in their quest for healthy, beautiful skin.